I started early in the morning to Alagar Kovil or Azhagar Koil. 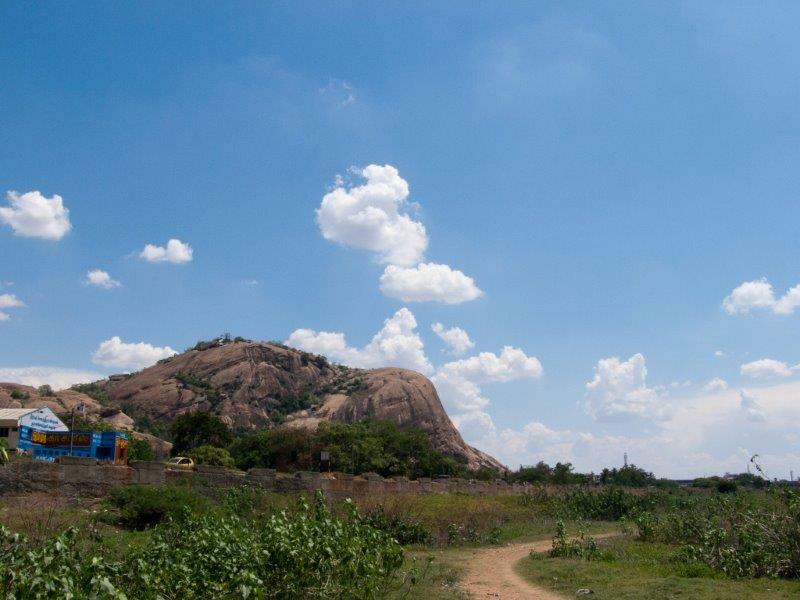 Mr Chandrabose was kind to drop me at a point where I can get a bus to this hill temple about 21 km away. On the way, I had a very early breakfast at a roadside eatery called Thattu Kadai. Here, I had one of the best idlies and vada in Madurai. I think anyone visiting Madurai should try the food in a Thattu Kadai, the fare is simple and quite tasty. After 10 minutes I got bus to the hill temple. It was not that crowded as it was a weekday and maybe due to the early hour. Some traders were trying to get a quick nap in the bus and holding on to their goods. 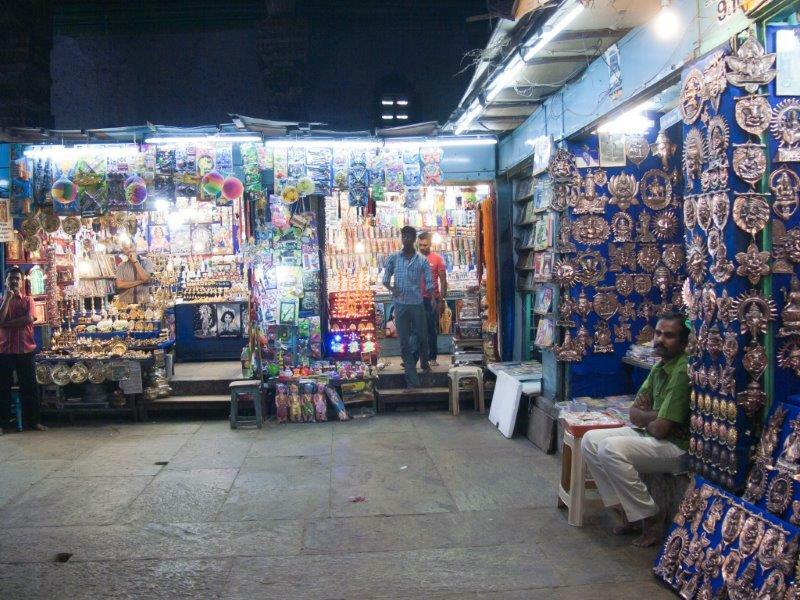 Cotton candy sellers; bangle sellers; a couple of soothsayers; tribal women with assortment of glass bangles, beads necklaces, black threads to wade of evil eyes; some merchants carrying condiments, sweets, munchies; and an assortment of pilgrims were my fellow companions. 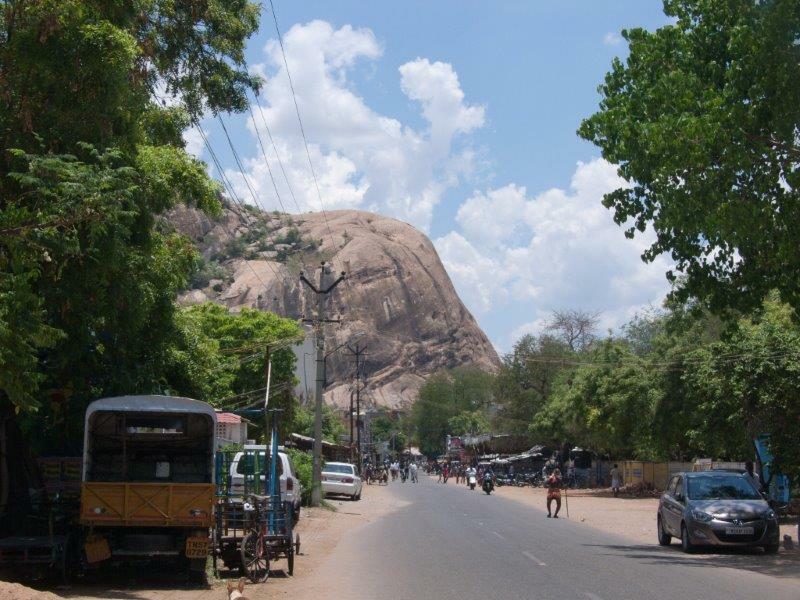 It took almost 45 minutes to reach the base of Alagar Hills. It was getting hotter by the hour. I went to along with the flow of pilgrims to the temple. As you enter the main gates and walk about 200 metres, we come the main entrance. 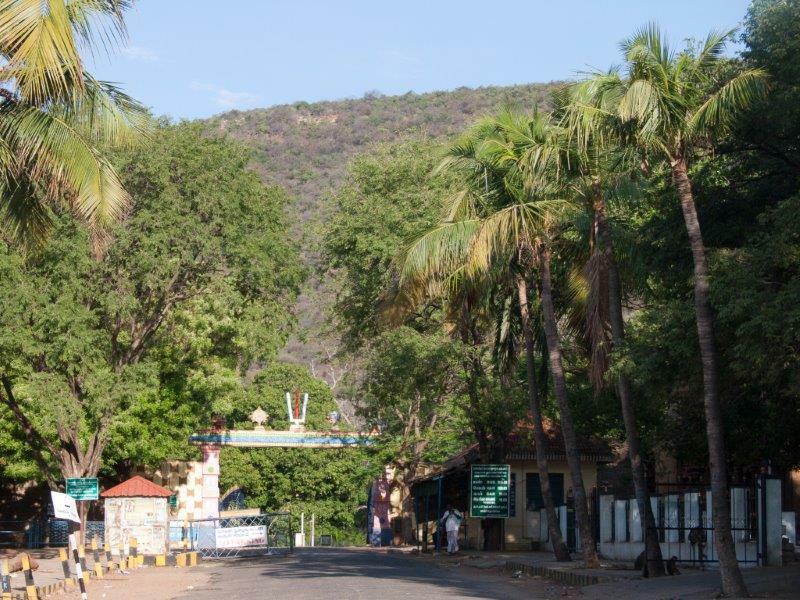 The main entrance is the shrine of the powerful Karuppaswamy, a form of Aiyanar who is a guardian deity and protects the rural villages. 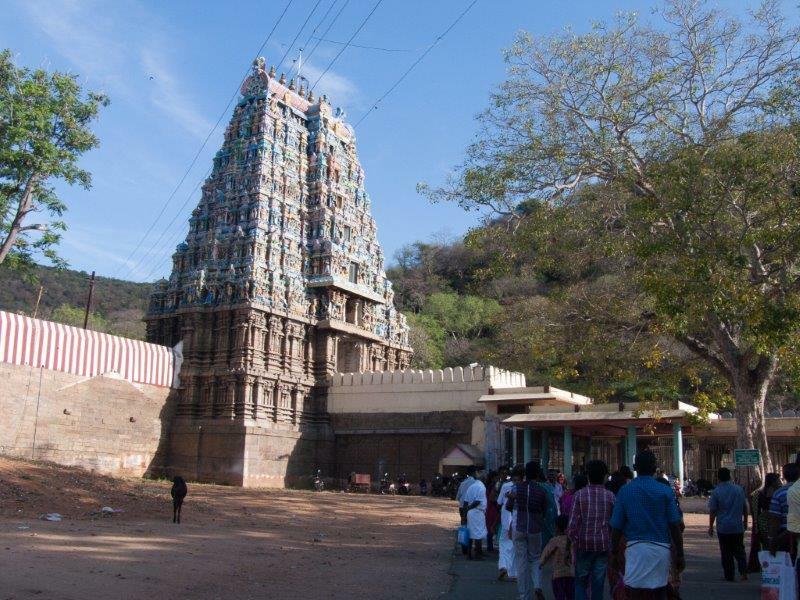 The main gopuram and the shire for Karuppaswamy. 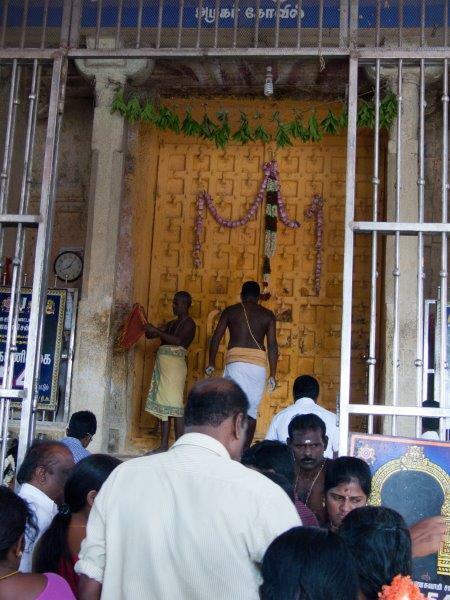 The main Gopuram/entrance is always under lock and key, and is opened once a year to allow the chakra of Vishnu to pass by. 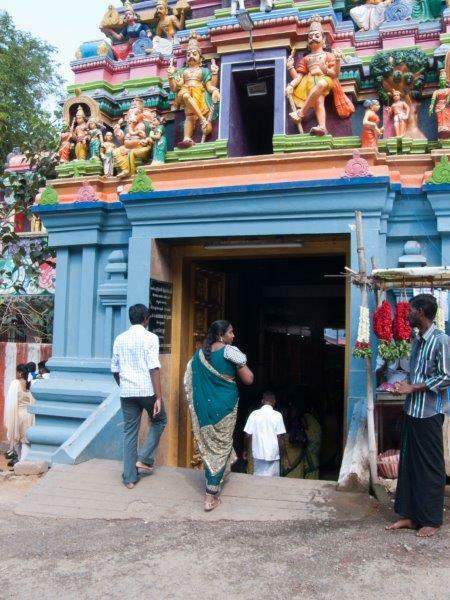 I walk up a little further where there is another entrance to the Alagar Kovil. It is a beautiful structure and most of the temple structure is on a rock foundation. I take a few pictures and move towards the sanctum. 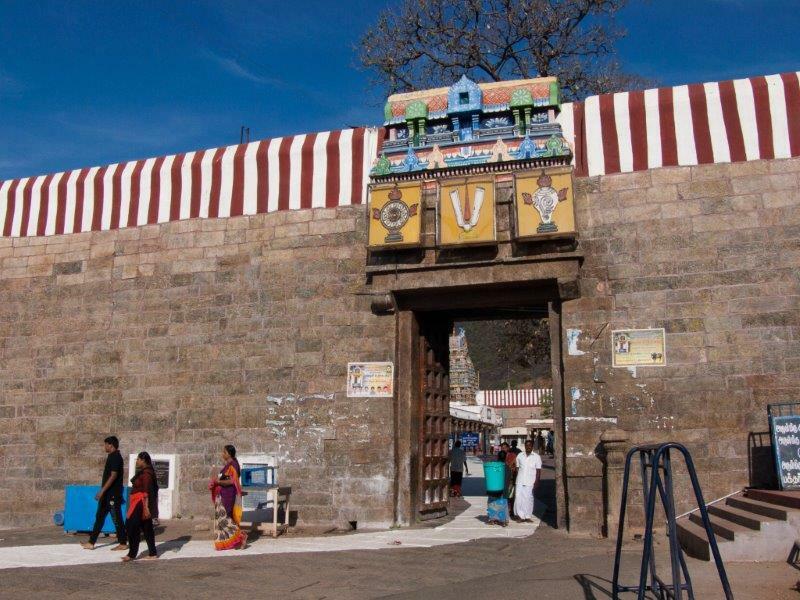 As I enter the temple complex, the gates are guarded by a couple of massive dwarapalakars (gatekeepers). I was told by the temple officer, no photography inside the temple complex. I keep my camera in the backpack and go in. It was like going inside a dimly lit cavern, beautifully carved sculptures and decorations dot the walls. The inside of the temple was very cool compared to the outside. I walk further and reach the sanctum sanctorum. 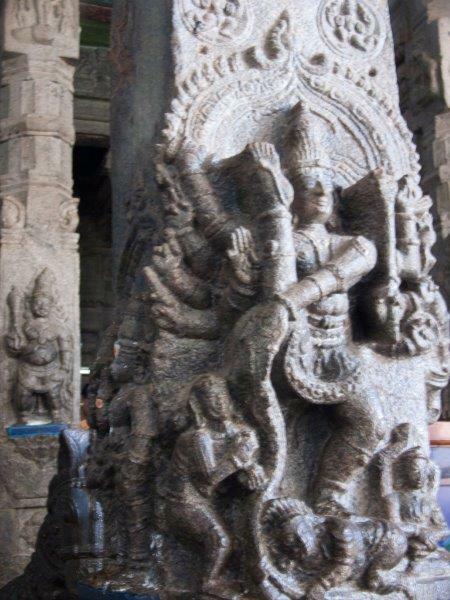 Here there is a massive standing black stone Vishnu statue very similar to the one in Tirupathi. The presiding Lord was quite impressive and almost lifelike. – Source: Tamil Nadu HR & CE dept. website. After the darshan, I reached the Dasavatharam Hall. Dasavatharam legend is the ten forms or avatars of Vishnu. 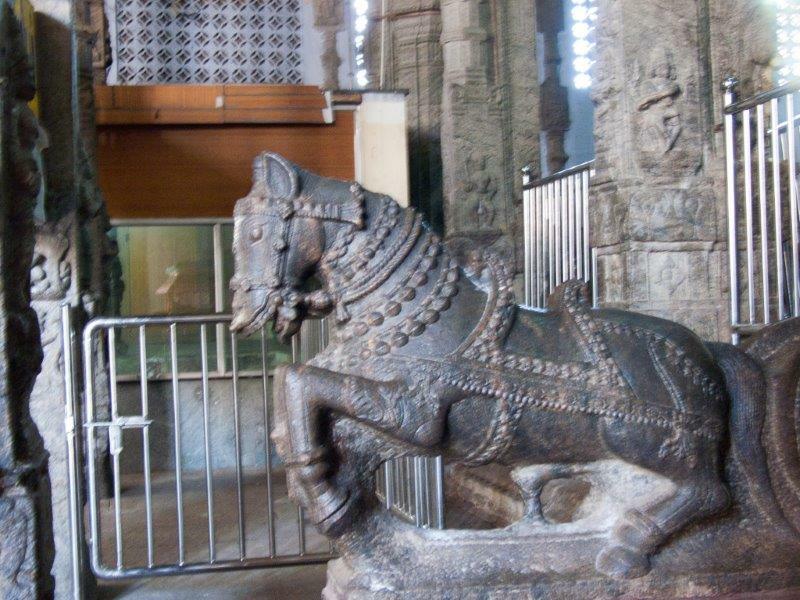 It was a quite impressive hall with massive stone sculptures. Photography is allowed here. 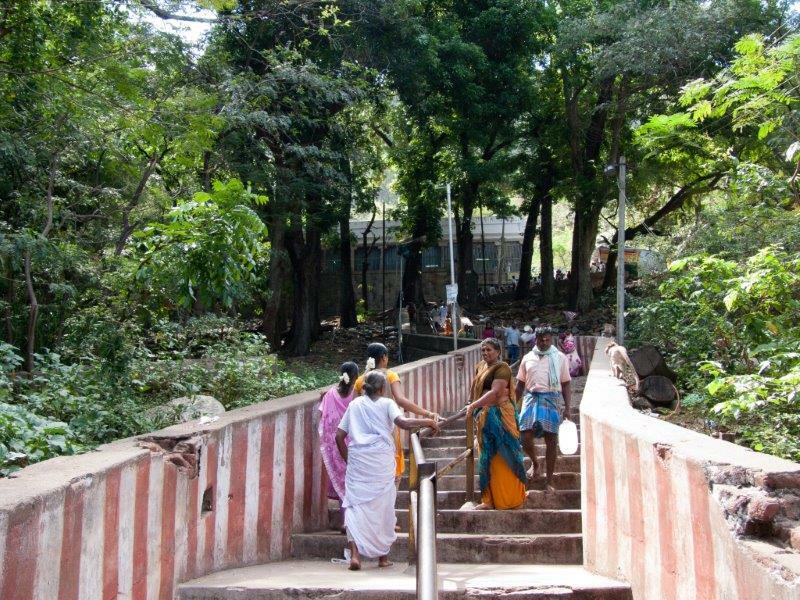 I left the temple and hurried to the a minibus stop which took pilgrims to Palamudhirsolai, one of the six abodes (Arupadaiveedu) of Lord Muruga about 4 km uphill. There was a small queue and got the second bus. The ride uphill was quite scenic and this hill is rich in fruits, vegetables, flowers, and many sacred herbs. I reach a small but beautiful temple dedicated to the war God Muruga. 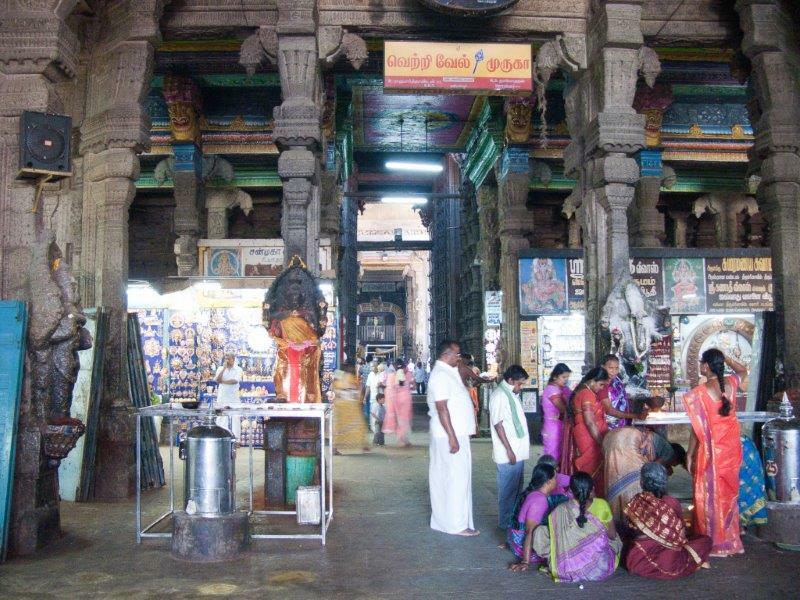 There is a famous legend associated with this temple. 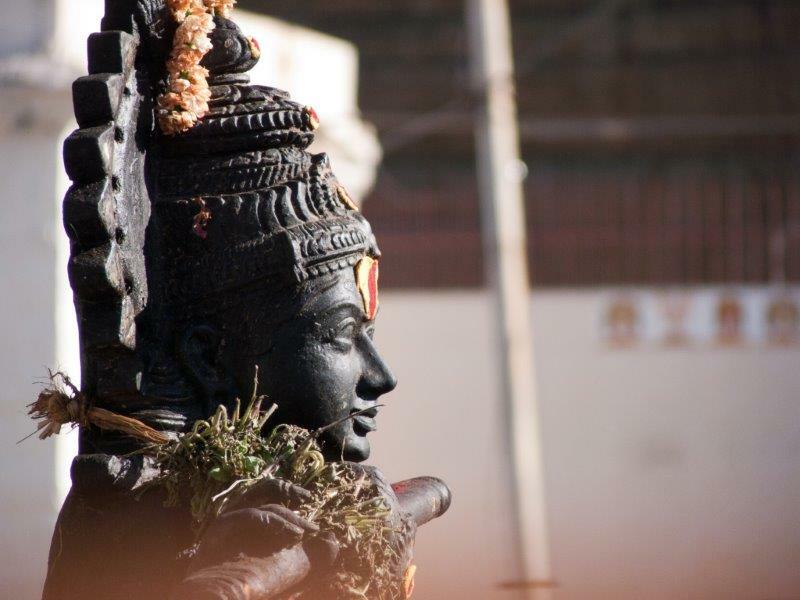 Avvaiyar, a famous Tamil poet and a Muruga devotee, came here and her knowledge was put to test by Lord Muruga, who had taken the form of a little boy. A short walk even further I reached a natural spring called Nuburagangai. There is a small temple dedicated for Goddess Rakkayi near the spring. It was quite crowded here and there was a long queue to get in. 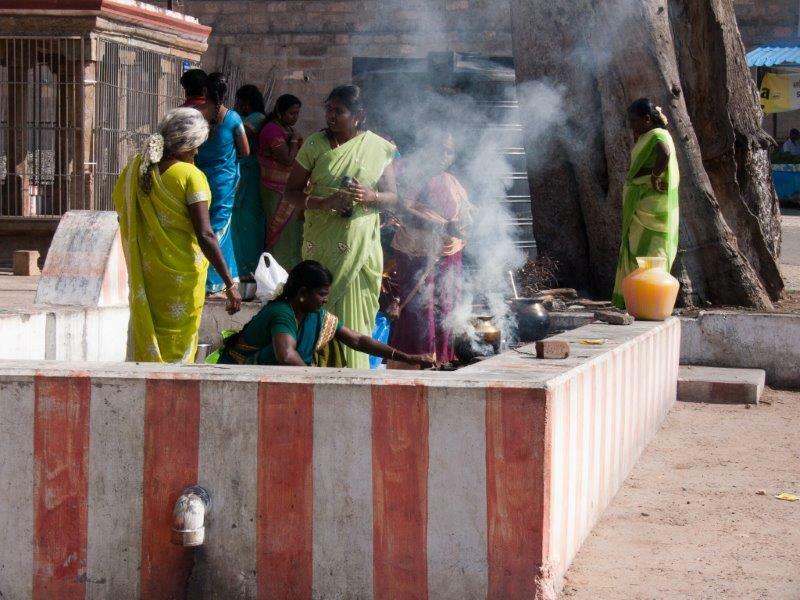 Devotees take a bath in the spring before worshiping the presiding deity Rakkayi Amman. I did go through the ritual, but stopped short of having a bath in the spring as I was not prepared. But did fill my water bottle and the water was pleasantly sweet. 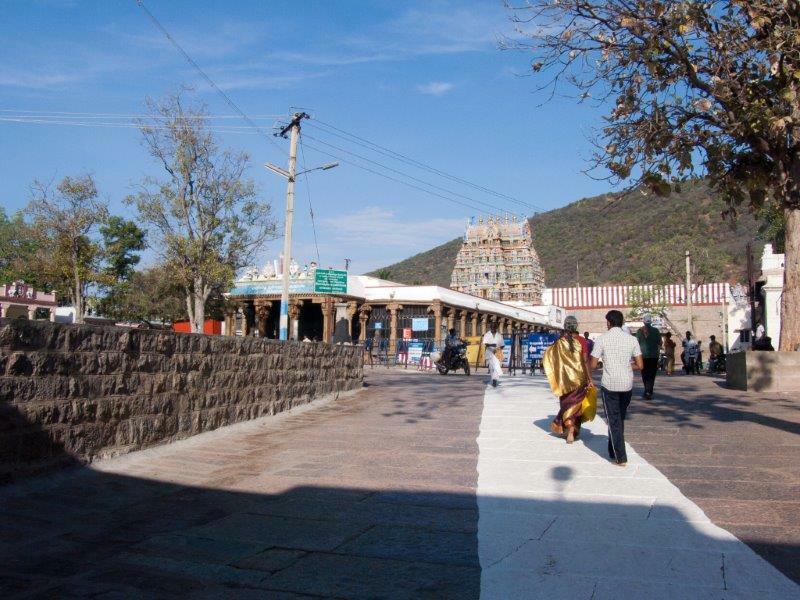 I walked down towards Lord Muruga’s Temple and took the next shuttle down to the base of the hill and got a bus to Madurai city. 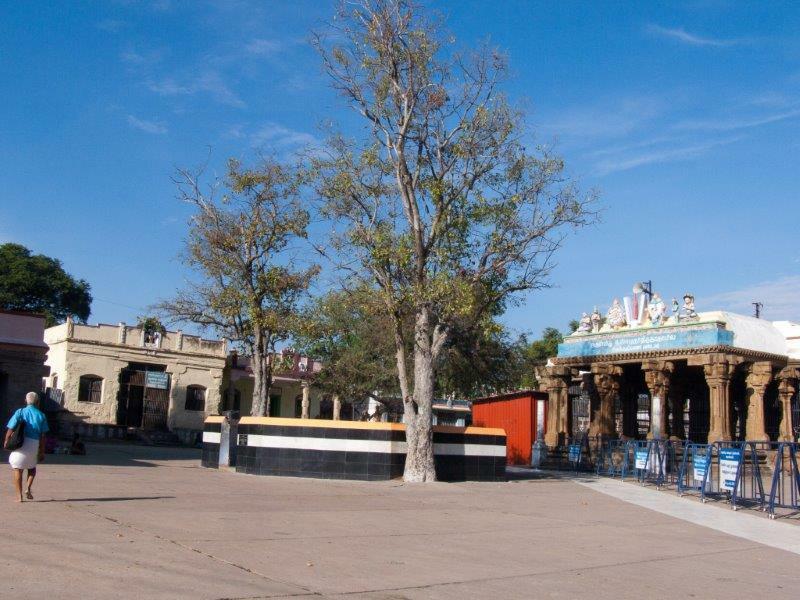 Reached the Periyar bus stand and took the bus to Tirupparamkunram, one of the six battle houses of Lord Muruga. The bus dropped me off on the highway as it was going further. I walked towards the massive stone hill that dominated the horizon. 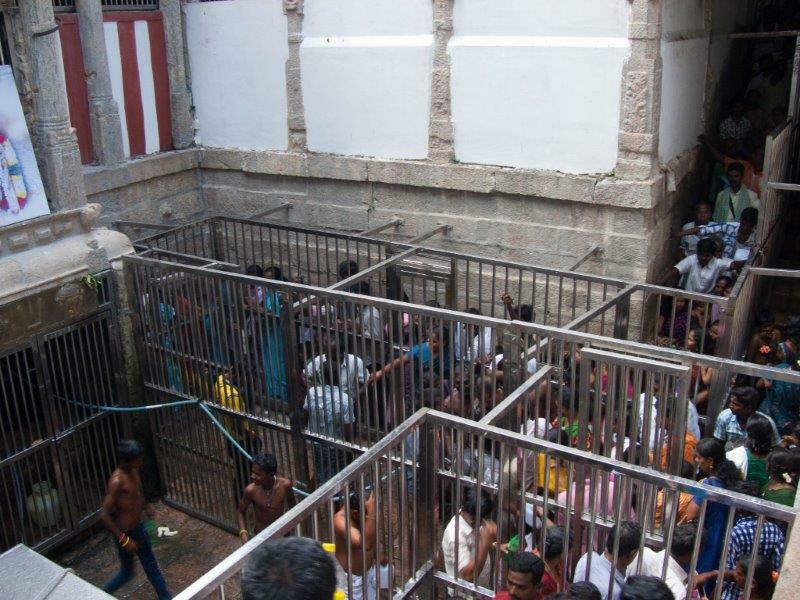 It was around 12:15 pm and the temples in Tamil Nadu mostly close by 1 pm, I had to hurry. I reached the temple that is right in bottom of the hill and craved out of the hard granite. My idea was to get to the sanctum sanctorum as quick as possible. I had to climb upward and into a labyrinth. There were a few people who were hurrying as well. 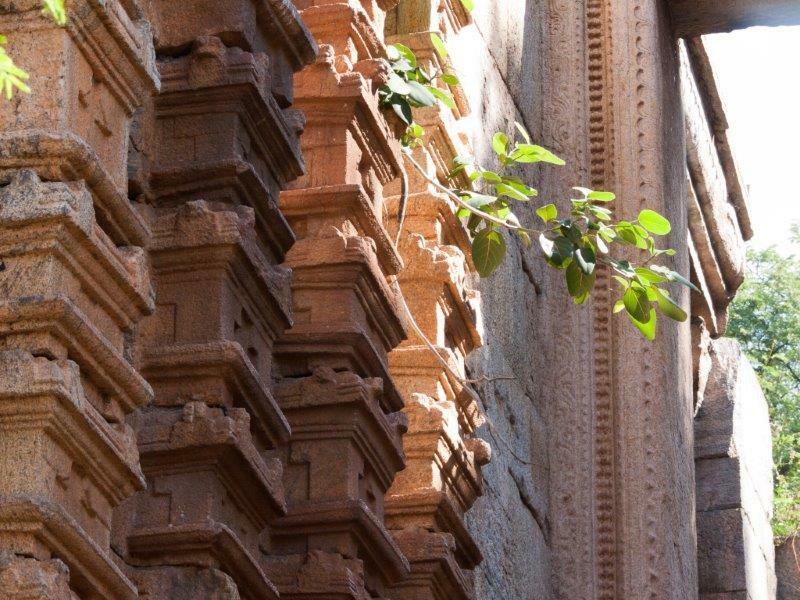 Finally reached the inner reaches… I could not stop to see the beautifully carved stone sculptures closely. I had a darshan of Lord Muruga with this consort Devayani in full regalia. It is said that this place is also the marriage house of the favourite lord of Tamils and one will never return empty handed… I was given a beautiful garland by one of the priests. That was quite a surprise to me. I came down and took some pictures of the temple surroundings. Later I went to a nearby restaurant had a sumptuous lunch, the food in Madurai is magic. 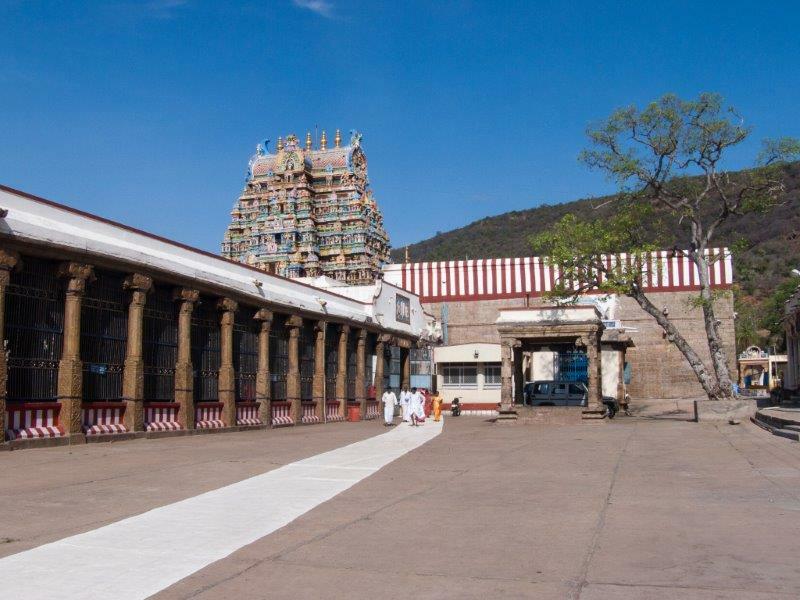 Tirupparamkunram Murugan Temple, one of the Six Abodes of Murugan. It is carved in rock. 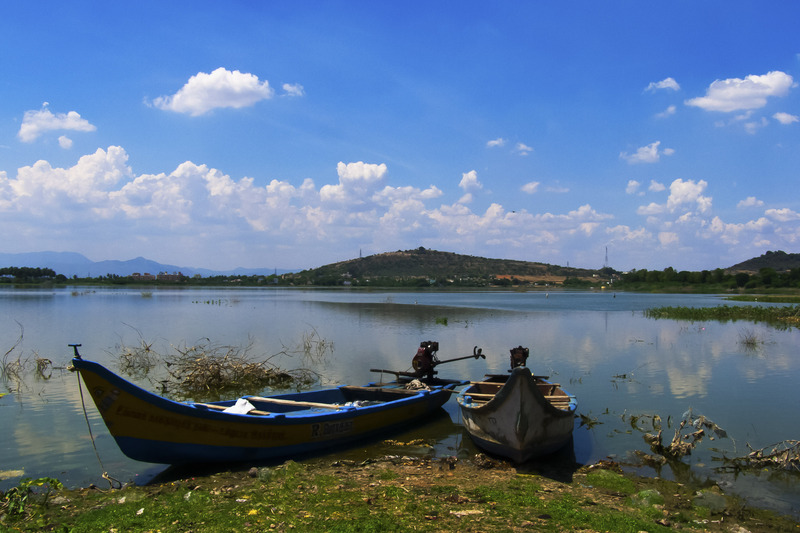 According to legend it is where Murugan married Deivayanai, daughter of Indra. 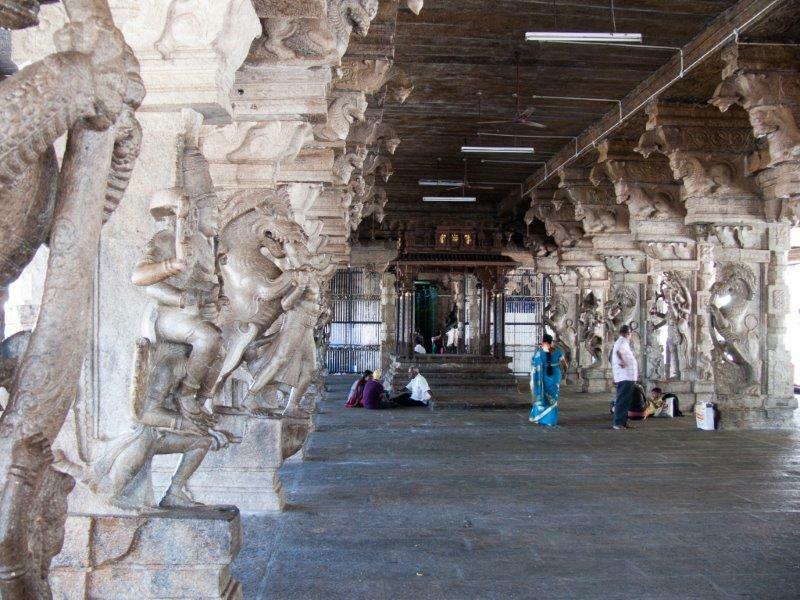 Tiruppamkunram features rock cut shrines as well as mandapams lined with elaborately carved pillars. your post all are nice, and the photographs are very beauty and superb. Thank you very much! We will be updating our blog soon.